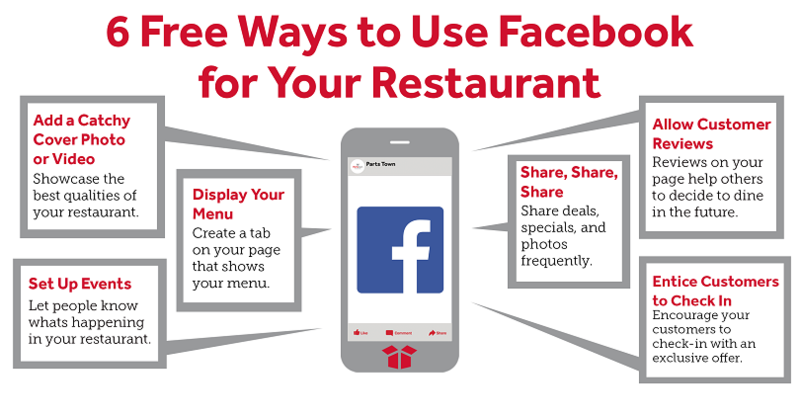 Are you using Facebook to your restaurant’s advantage? If not, you’re missing out on a great opportunity to not only engage with your current customers but also drive new customers to your establishment According to Statista, Facebook has over 2.3 billion active monthly users worldwide, which amounts to roughly 72% of all internet users. That means there are plenty of chances to market to users in your area. 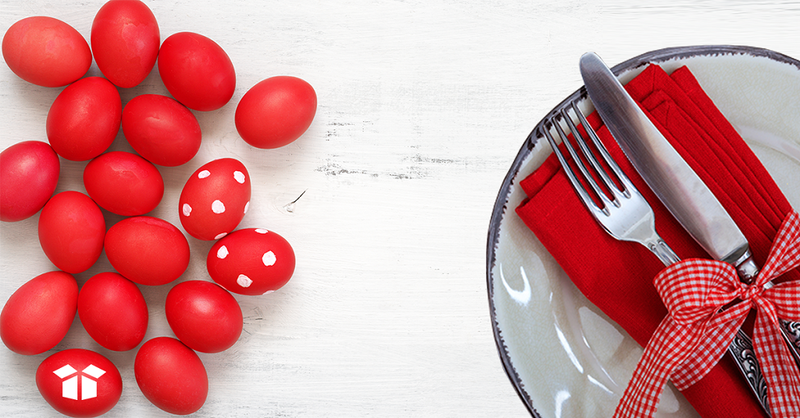 Here are some free and easy ways to use Facebook marketing for restaurants. It’s amazing how many restaurant pages don’t taken advantage of this free advertising space on a page. You can upload an 820-x-312 pixel image or a 820-x-462 video that is 30-90 seconds long. No matter which you choose, make sure it showcases the best qualities of your restaurant and catches customers’ eyes. For example, use a stunning photo that highlights a signature dish or post a quick video capturing your restaurant’s amazing ambiance. On your Facebook page, create a tab that shows your menu. When people are deciding online where to eat, always try to offer the most information you can. If the customer doesn’t know what you offer, they’re more likely to eat somewhere else. Does your place host live music, trivia nights or other fun outings? Set up events on your page to let people know what’s happening in your restaurant. When a customer engages with the event, it spreads the word to their friends, helping raise awareness. Did you know that 33% of diners say that what they read on a peer review site will factor in to their decision of where to eat? And this jumps to 53% when talking about Millennials. When you allow customers to leave reviews on your page, it will help others decide to dine in the future. Also, don’t be afraid of a bad review now and then. Use it as an opportunity to fix the problem publicly by engaging right there on your page. People like to eat where friends and family eat. When a customer checks-in on Facebook at your restaurant, all their connections will see it, leading to potential word of mouth customers. Encourage your customers to check in with an exclusive offer. You should be posting content to your page daily. Seventy percent of customers want to learn about a company through content rather than traditional advertising, so let your content tell your story. Share deals, specials, and most importantly photos. Photo posts generate 39% more engagement, meaning they will be seen in the timelines of your customers when they like or comment. 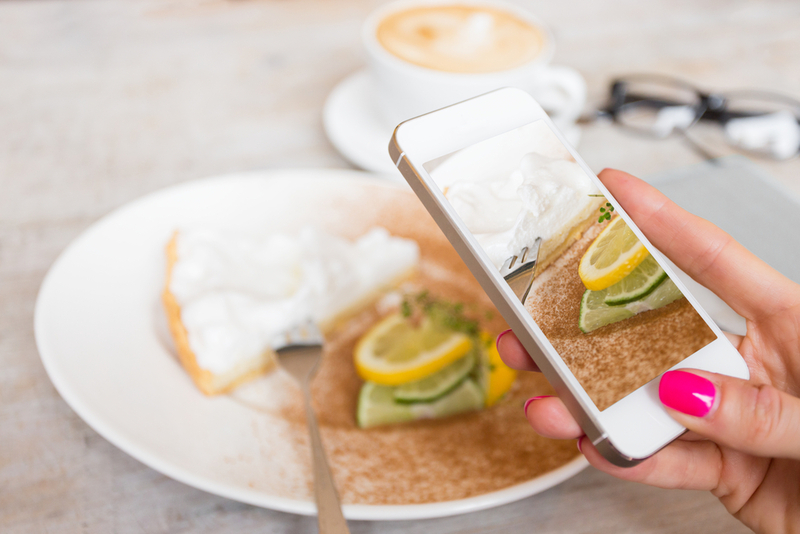 There are many ways to leverage Facebook to your restaurant’s advantage, and these six easy steps will have your restaurant’s social media presence off to the right start.